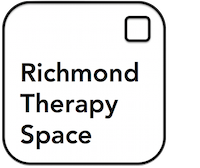 Based on our experience of the needs of therapists in private practice, available hours are grouped into 3 blocks – covering the morning, afternoon and evening. Please see below for more information on these blocks. Where there is availability, we are happy to discuss initial shorter periods, however priority will be given to therapists wishing to take a block of hours. If you are interested in discussing availability, please contact us. For information on costs, please contact us to discuss your requirements.